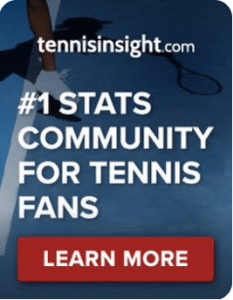 WTA Charleston, Third Round: Ostapenko v Keys | Tradeshark Betfair Tennis Trading Blog!Tradeshark Betfair Tennis Trading Blog! Keys won their only previous meeting. That was on a grass court in Birmingham in June 2016. She won in 3 sets. Overall results are a little better for Keys in the last 12 months and also in 2019. Both have good results on clay. Ostapenko came close to losing to Shelby Rogers who was playing just her second match in a year. Rogers was 4-0 up in their deciding set. Ostapenko fought back and served for the match at 6-5 but was broken. She won the match in a tie break. She reached the final in Charleston in 2017. Keys also had a tough 3 sets win in the last round. There were no breaks of serve in her opening set with Tatjana Maria. Keys took the set in a tie break and took a 4-1 lead in set 2. She then lost the next 5 games. In the third set Maria won a break of serve to lead 4-3 but Keys took the next 3 games to win the match. She reached the semi finals last year and also the semi finals of the French Open. We have a good chance of seeing 3 sets. Back Keys around 1.90. Update: Keys was broken in the first game of the match. She eventually broke back for 3-3 and another break gave her the chance to serve for the set st 5-3. She could not hold but another break gave her the set . Set 2 was tight at the start but Keys took the first break for a 4-2 lead and another break gave her the match. This entry was posted in Daily match picks and tagged betfair tennis trading, charleston, low risk tennis trading, ostapenko v keys by .Bookmark the permalink.